Model of the Apollo Lunar Module, designed by Grumman, plastic, metal and decals, 7 inches tall. The Ascent Stage detachable from the Descent Stage as in actual flight configuration. 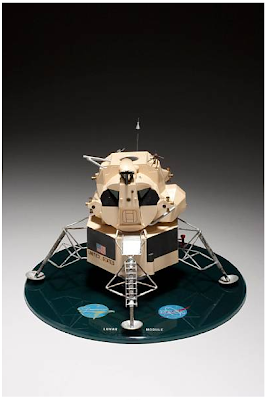 The complete vehicle is removable from the circular base (acrylic), which has text reading "Lunar Module" and with NASA and Grumman logos. The Lunar Module (LM) made two Earth orbital missions, one being manned, and eight manned lunar missions, of which six LMs successfully landed on the surface. 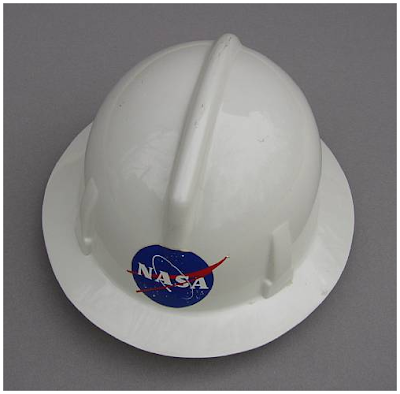 Worn by Dr. Faget during various tests and observations during the Mercury, Gemini, and Apollo Programs.